Reservations, call 502-894-8838 or email welovebourbon@bourbonsbistro.com. Join us for all the buttery, creamy, sharp, bold, nutty tangy goodness as we finally put the traditional wine and cheese pairing on its head. 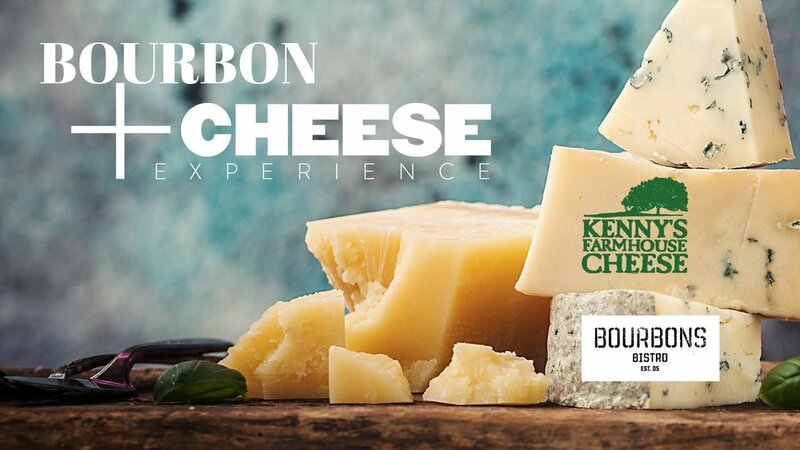 Enjoy a 5-course bourbon and cheese pairing hand selected by our resident bourbon expert Jason Brauner, and featuring Kenny's Farmhouse Cheese, for only $45. We're kicking things off with the Bourbon + Cheese Experience on October 16th starting at 6:30pm. You'll enjoy a reception cocktail before Jason Brauner and Van Campbell with Kenny's Farmhouse Cheeses walk you through the pairings.